Red lipstick, it can be quite a difficult shade to wear can't it? 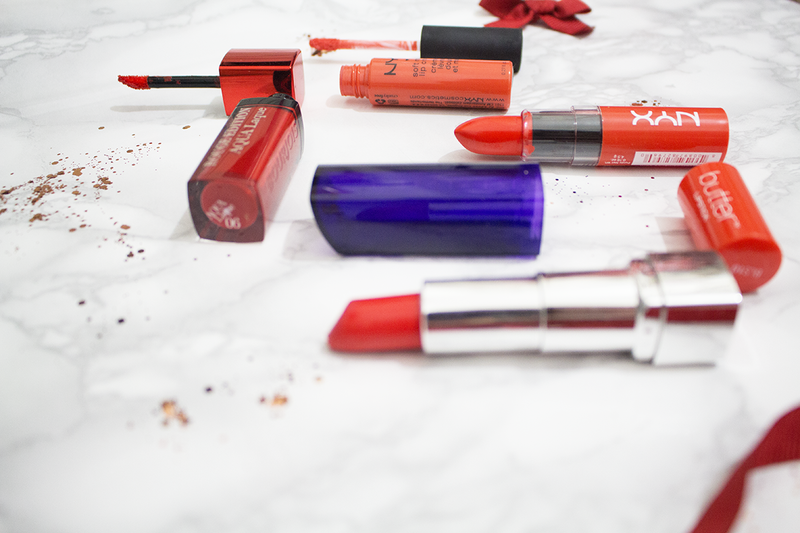 And also it is much easier to line your lips first to stop that feathered look going on... but what shade of red is ideal for you? So before you even start thinking of what shade of red is going to be right for you, I think first things first is the formula. There are many different formulas out there, from matte to liquid. It all depends on what works easiest for you and whether you want something moisturising or long lasting. This is a Marilyn Monroe red, a red that is very true. It is a watery consistency which I find easier to apply because if you go over your lips slightly it is easy to quickly dab away the mistake. This is also long-lasting but it does like to transfer on pretty much everything! I love the smell of Rimmel's lipsticks only because it is a blast from the past when it came to pinching my mum's makeup when I was a child. You can't fault Rimmel as their colour choice is so vast. This is a moisture renew so this is very comfortable to wear and easy to apply. Can you see the pattern here? I am not a fan of a matte red lipstick and the reason being is because they are so uncomfortable to wear. I have raved about these lipsticks in my last post. 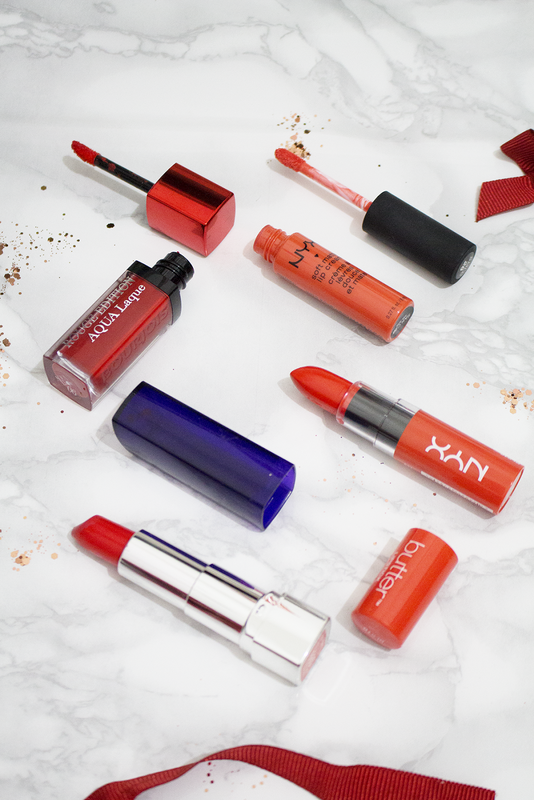 This shade of lipstick has an orange hue which compliments many skin tones. The only matte formula in my picks and this only because I actually feel comfortable wearing it, and throughout the day like some matte lipsticks this doesn't break apart and show up every cracked line visible on your lips. Also because it is a cream consistency again I find this easy to apply even without lining my lips first!